The International Center for Human Rights (ICHR) is an independent non-governmental organization. Our objective is to develop the means and methodology for establishing democracy and human rights protections. It is the duty and responsibility of a sovereign nation to protect and uphold the rights of its people. ICHR will monitor and report violations of human rights against the citizens of Iran, as well as impunity by the Islamic Republic of Iran against those violators. ICHR will coordinate several projects to provide educational services and promote democracy and awareness of human rights violations committed against the people of Iran and its neighbouring countries. ICHR will organize and host public workshops, conferences, symposiums and seminars to promote dialogue among activists, organizers and participants. Dialogue will centre on the role of democracy and human rights, and ways to encourage their protection among people. Ideas generated in these events will supplement the other ongoing projects. ICHR will research and investigate human rights violations and monitor the government’s conduct towards its citizens. This project will be conducted by activists, experts and researchers in the field. Researches will monitor and report the situation in Iran and its neighbouring countries daily. ICHR will document and publish the result of these investigations to create awareness, influence policy makers and empower civil society. The Young Leaders Fellowship will welcome individuals who have demonstrated strong leadership and community activism to work as researchers at the center for a three-, six- or twelve- months term. The Policy Project will serve as a non-partisan forum for analysis, consensus building, and problem solving on a wide variety of human rights and democracy issues. The product of these analyses will be provided to policy makers for their consideration. 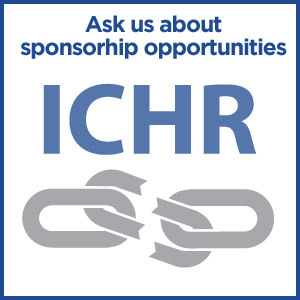 ICHR will provide community and legal services to refugees and victims of tortures. Through these projects, ICHR will encourage informed dialogue on human rights in Iran as well as its neighbouring countries and increase awareness of democracy, freedom, justice and human rights values.